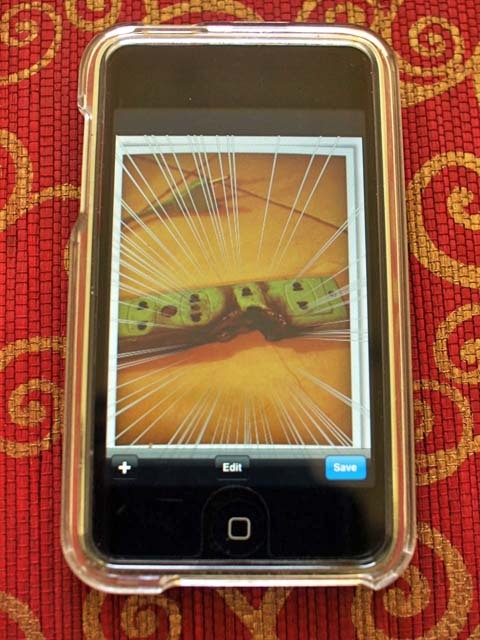 Make Your Photos like Japanese Manga Comics!! Do you like Japanese manga comics? 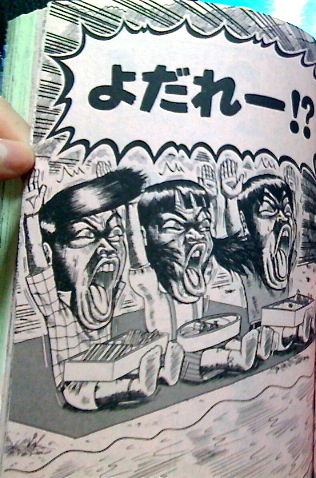 Japanese manga sometimes uses special effects like this. Action lines, big and bold letters. So dynamic!! I found two funny iPhone apps. 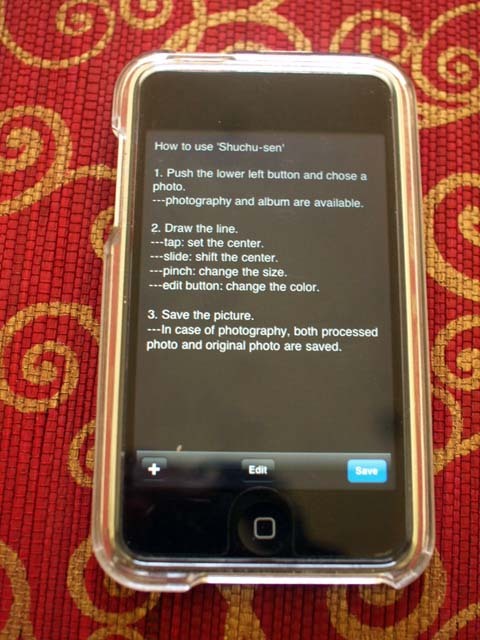 When you use both of these, you can process your photos with exciting effects like Japanese manga. Let’s try with this photo. 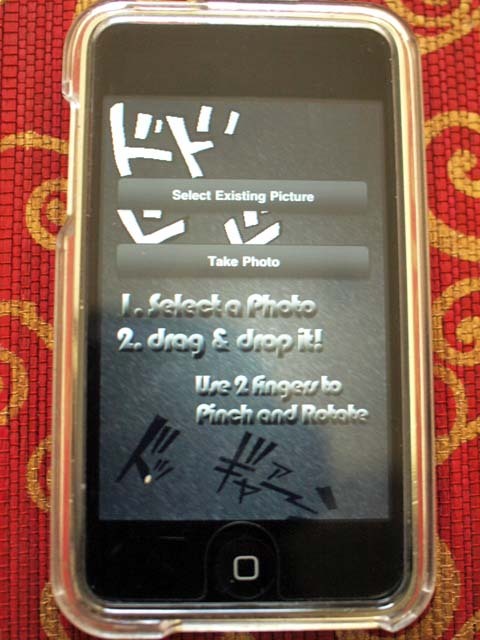 2) Shuchu-sen app places “action lines” into your photo. 3) Tap, slide and pinch to adjust and customize the lines. Let’s go to the next app. 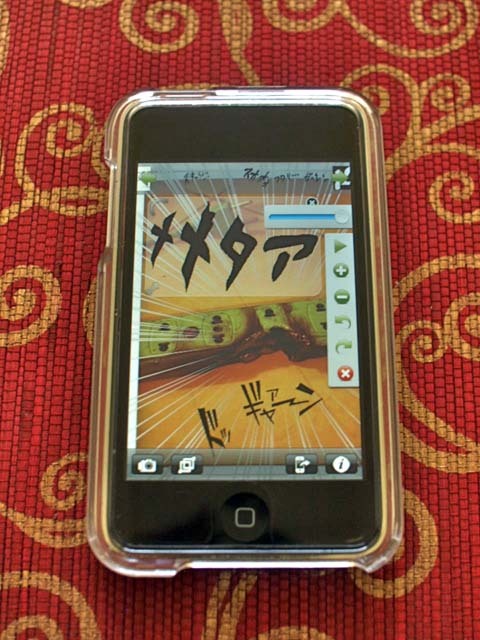 This app places Japanese onomatopoeia into your photos. 2) Select letters or short words from the menu. 4) Adjust the angle, size and transparency of the letters. 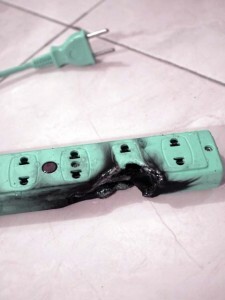 Photos which are ordinarily nothing special can become very unusual and stylish!